On July 21 2005, there was an attempt to paralyze London’s transport system and kill a large number of people. 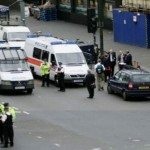 Mercifully, four bombs planted at three Tube stations and on a bus failed to explode, but the memory of the fatal London 7/7 bombings two weeks before was fresh and security forces were jumpy. With the help of CCTV pictures, the Metropolitan Police mounted a massive manhunt for the would-be bombers. Intelligence had quickly linked a block of flats in South London with one of the suspects, and it was under surveillance the following morning when 27-year-old Jean Charles de Menezes emerged from the communal entrance and was identified as a possible suspect by the watching ‘Frank’. The undercover soldier thought the Brazilian national resembled one of the suspects caught on CCTV. But Frank was relieving himself and couldn’t video Jean Charles, so no picture was transmitted to Gold Command at police HQ. The consequences of this ill-timed call of nature would soon prove fatal. Plainclothes policemen followed Jean Charles to Stockwell station, where the young electrician picked up a newspaper and boarded a waiting train. Meanwhile, Gold Command ordered that the presumed bomber should be prevented from entering the Underground system. Three surveillance officers followed him onto the train, swiftly followed by a specialist firearms team. A volley of shots rang out, eight hitting Jean Charles de Menezes who was killed instantly. The tragedy revealed the existence of a ‘shoot to kill’ policy where an imminent terrorist threat existed, though the Metropolitan Police initially tried to justify the killing by falsely claiming that a warning had been shouted, then further muddied the waters before admitting their mistake the following day. They then issued an apology, but that was scant consolation to the innocent victim’s distraught family. You should know: Although the Stockwell shooting revealed serious organizational failings within the Metropolitan Police, no individual was ever punished for their part in the unjustifiable killing of Jean Charles de Menezes, though the Met itself was fined under Health and Safety legislation. Thoughtful commentators described Jean Charles as another victim of terrorism, because he died as a result of official over-reaction to the terrorist threat that at times bordered on hysteria.